MUMBAI : India’s coffee production in 2018/19 is likely to fall by at least one-fifth from a year ago as floods in key producing states damaged the crop and delayed exports, industry officials told Reuters. Some of the worst flooding in India in a century killed hundreds of people in the southern states of Kerala and Karnataka earlier this month, both of which account for more than 90 percent of the country’s total coffee production. “Earlier we were expecting better crop than this year. Now we are expecting at least 20 percent drop in the production,” Ramesh Rajah, president of the Coffee Exporters’ Association of India, told Reuters. The severe crop loss was reported in the coffee-growing regions of Kodagu in Karnataka and Wayanad in Kerala, while the Chikmagalur and Hassan districts in Karnataka also reported damage on limited scale, he said. The South Asian country, famous as a tea producer, is also the world’s sixth-largest coffee grower, according to India’s state-run Coffee Board, mainly churning out the robusta beans used to make instant coffee, but also producing some of the more expensive arabica variety. 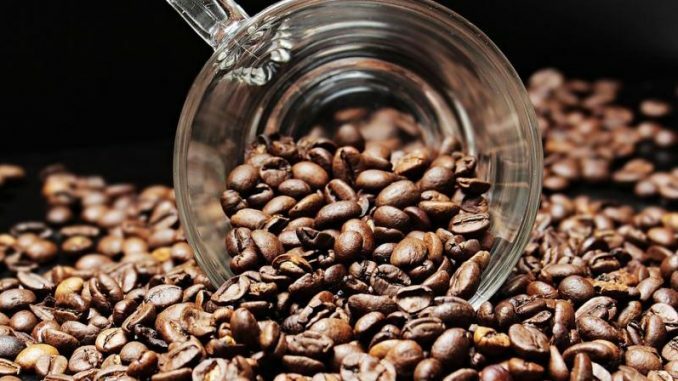 In 2017/18 marketing year that ended on Sept. 30, India produced 316,000 tonnes coffee, including 221,000 tonnes of robust and 95,000 tonnes of arabica, according to the Coffee Board. Floods have badly damaged infrastructure, especially roads connecting to ports, said M. M. Chengappa, the former chairman of Karnataka Planters’ Association (KPA) who still operates a coffee farm in Kodagu. Exports of around 20,000 tonnes have been delayed for two weeks and the quantity is unlikely to be shipped in the next fortnight as roads connecting ports to the hilly coffee-growing region have been washed away, said Rajah of the exporter’s association. India, where according to folklore coffee cultivation started in 1670 with seven beans smuggled into the country, exports three-quarters of its production. A large number of coffee berries were knocked off trees because of heavy rains and now farmers are afraid of fungal diseases, said coffee-grower Anil Kumar Bhandari, whose plantation in Kodagu was hit by floods last week.